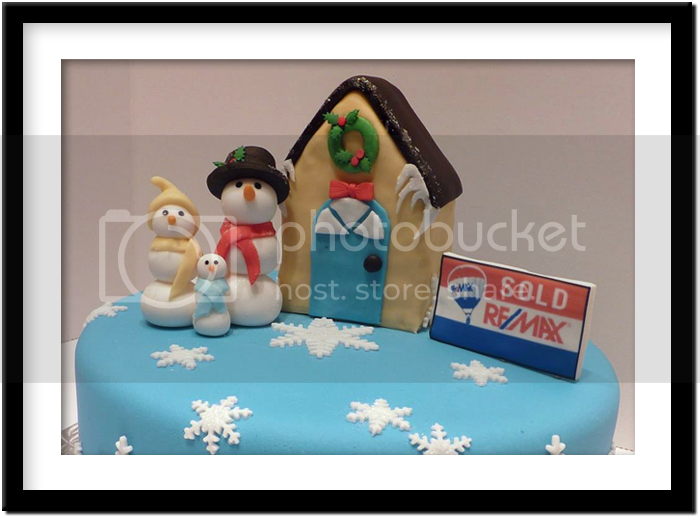 This adorable Snowman Family cake was made specially for Re/Max Real Estate Brokerage. 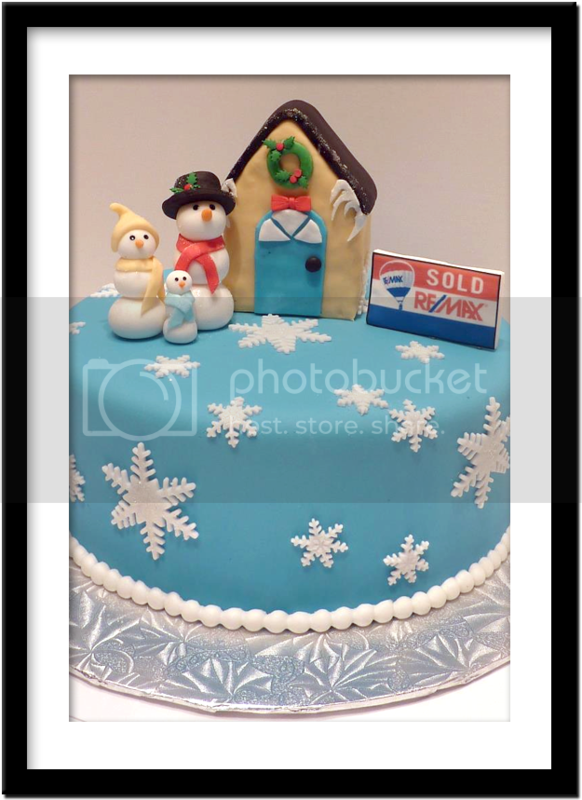 Snowflake detailing, fondant house and edible ink printed signage. Even Snow families need beautiful homes!